In addition to polishing a piece to play in a public venue, I help the student prepare their presentation from appropriate dress, to walking on stage, performing with or without a mic and general stage presence. Performance opportunities are relayed to students during their lessons. I have been a musician for over 25 years. In addition to guitar, I'm a vocalist, composer and arranger as well as a music publisher. 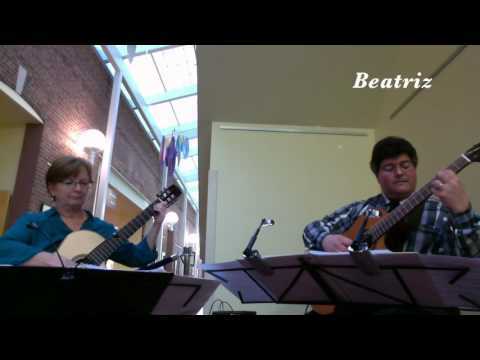 I actively perform as both a classical guitarist and singer-songwriter. Teacher of guitar, music theory, composition and song writing as an independent contractor. We are a music publisher which sells sheet music and MP3 files of projects composed/arranged by or in collaboration with Cheryl C.
Cheryl laid back person with a great teaching method. Can't wait until next lesson. Ms Cheryl was excellent. My 9 year old loved her first lesson and can't wait until next week. We highly recommend. Cheryl is great. This is the first time I'm taking professional guitar lessons, and I was very nervous when starting, but she made me feel comfortable. She is very patient, and even after only 4 weeks of lessons I feel that I've learned a lot and I'm very excited to continue! My daughter Michelle learned from Cheryl since 2015 Spring. After three months, Michelle could play a song in June in front of audience in Madison Hotel, NJ. Michelle got inspired from Cheryl so much and she liked to attend guitar lessons all the time. We believe that Cheryl is an outstanding guitar teacher for any beginning guitar learner. Cheryl is a wonderful teacher that my our 9-year-old girl loves so much to go to her lessons! She is very patient and enthusiastic. My girl is very happy to have the guitar lessons and always so wants to practice. Like anything new - exciting, followed by frustration because it's new and takes some learning and patience. Cheryl is patient - I know I will get the hang of it as I continue with her. Cheryl is a patient and caring teacher. Very professional - helped us with finding the right guitar, books and so on. Very caring. My shy daughter is very comfortable with her and we highly recommend her. Her to any level of guitar student. Cheryl is an excellent teacher and I am so glad I started my guitar lessons with her. I have played guitar on my own for a few years but I felt stuck at my current level and wanted to expand my guitar skills. Cheryl is very patient and encouraging. The exercises she gives me are challenging but she teaches me everything I need to work on them and I am making so much progress. Cheryl is very knowledgeable about guitar and extremely qualified. I would strongly recommend her to any level guitar player! Just recently retired, I decided to try guitar. Cheryl C. has been my instructor for the last 4 months. Cheryl is knowledgeable and instructs at a good pace. She is quick to recognize strengths (and weaknesses), and gives good feedback and instruction. Cheryl is very interactive in the sessions, and always keys on the accomplishments, while letting me know what needs to be done to get to the next level. As a guitar teacher, Cheryl has been the perfect mix of knowledge, patience and encouragement. I haven't learned how to play an instrument in 30 years and her expert instruction as well as her ability to make me feel at ease about missteps and applauding my successes has made the experience a real pleasure. I can also see that I am making progress. I highly recommend her.